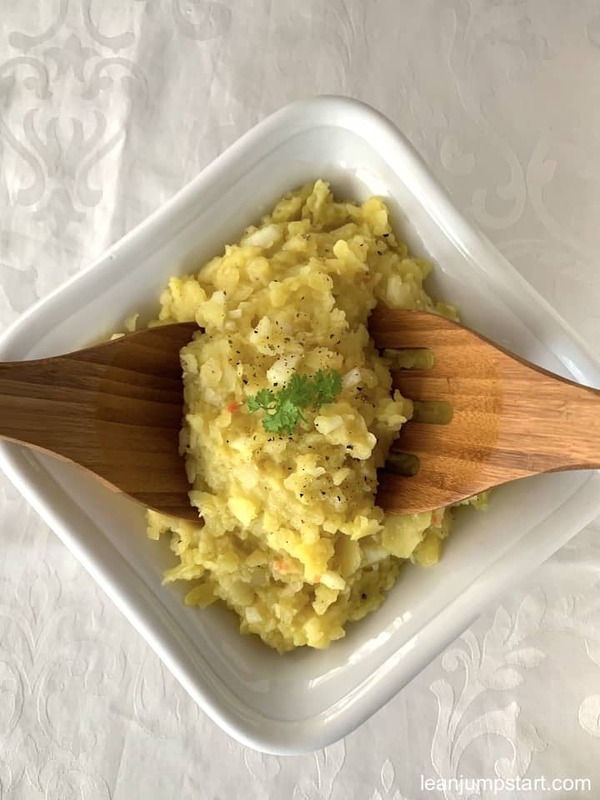 The following simple mustard potato salad is my utmost favorite – and I hope, you will love it too! I cook it at least once a week, usually on Fridays when I serve it with fish or veggie burgers. Again I’ve prepared a short “how to” video for you. At its heart, it is a mayo-free, vegan potato salad – “Swabian style” that I have simplified and adjusted to match our individual taste. If you come to South Germany or Austria you will stumble over this kind of mustard potato salad almost in every restaurant. It is usually served as side dish with roast chicken, sausages, “Schnitzel” or fish. But you will often spot it also as part of a mixed salad that is offered as a starter or as a component of a big salad plate. Every family has its own little secret and tweaks to make their best potato salad. 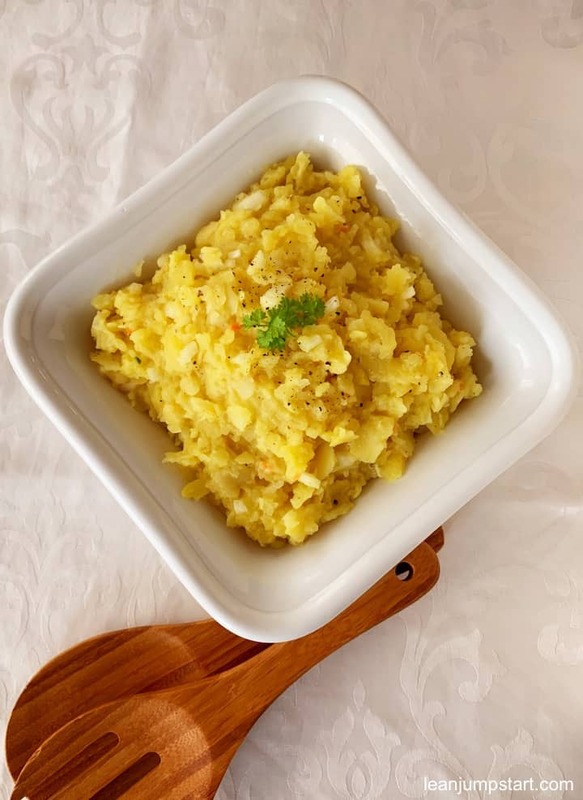 And this is something I recommend to you too once you fall in love with this simple, filling side dish. Use my ingredients as a rough guideline but adjust it to your individual preferences. Mustard and broth are a must! 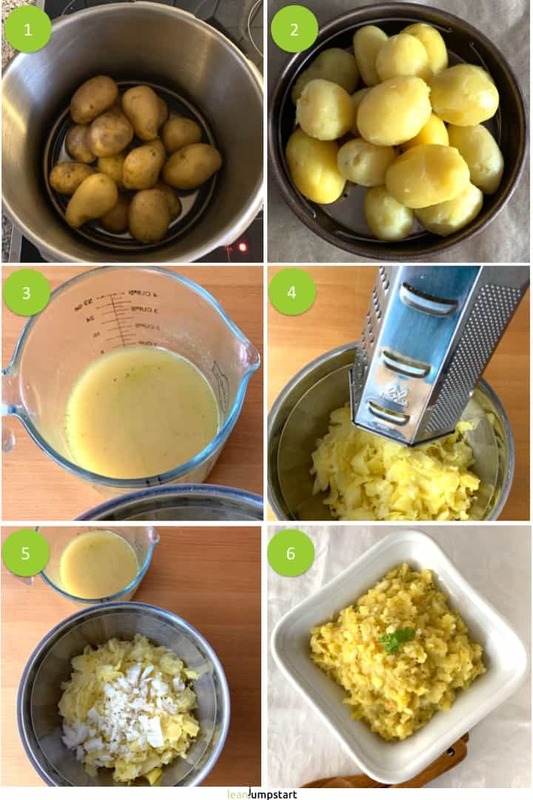 What all South German potato recipes have in common is that they call for some mild German yellow mustard (or Dijon mustard) and broth. You won’t find however the calorie-loaded mayonnaise in a South German salad recipe, a typical ingredient most North German potato salads can’t live without. 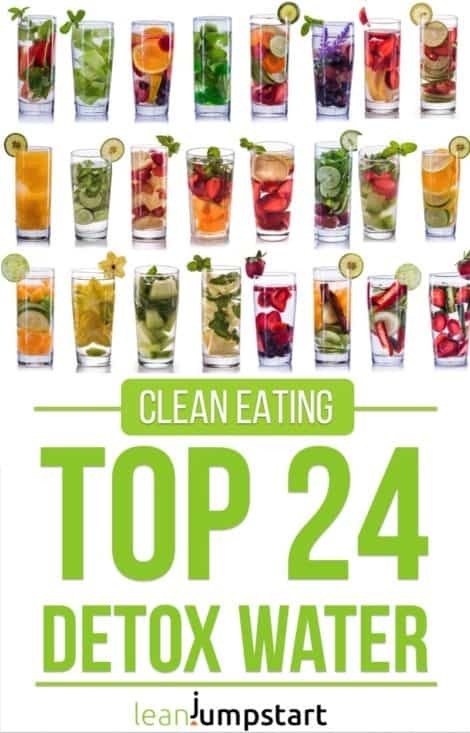 The following clean eating recipe has been our family staple for years. When done, rinse in cold water and allow to cool down slightly. In the meantime, mix vinegar, mustard and hot broth in a bowl. Add onions, pepper & salt to potato slices and toss lightly. Pour warm liquid mixture over potatoes step by step and stir carefully to combine. Always wait until potatoes have soaked up the liquid before adding additional fluid. Add oil at last (optional) and mix gently. Garnish with fresh herbs like parsley if desired. Serve while still slightly warm. We love the salad best when it is really wet. In our region, people say the side dish is wet enough when it sings while you mix it. Learn step by step how to make this simple, plant-based salad and don’t forget to subscribe to my Youtube channel. Enjoy! As mentioned before, I’ve tweaked the Swabian potato salad recipe a bit. For all lovers of authentic recipes, I just want to add that usually a Swabian potato recipe calls for white vinegar and uses strong beef broth instead of vegetable broth. I love the flavor in this! I do prefer it to be a little warm too when served. Thank you Sabrina. I also love this side dish to be a little warm when served. That’s why I try to prepare it just in time. And yet you can watch me eating the cold salad leftovers some hours later just with a slice of whole grain bread. Like how there’s no mayo here and bet the mustard combo is super tasty! Yes, Matt, the mustard vegetable broth combo is a unique dressing of its kind and perfect for a flavorful potato salad. I must admit I’m a fan of the North Germany style potato salad but I like the sound of the broth and mustard. Curious to give this a try. You should! You can only know your preference when you’ve tried both, Jori. In fact, the South German version tastes at least as creamy but contains just a fraction of calories compared to the mayo-loaded North German type. Great video. And I love how easy this recipe is to make. Hey Emily, thank you. I’m happy that you like my video instructions. Yes, the recipe is really much simpler than may be expected. 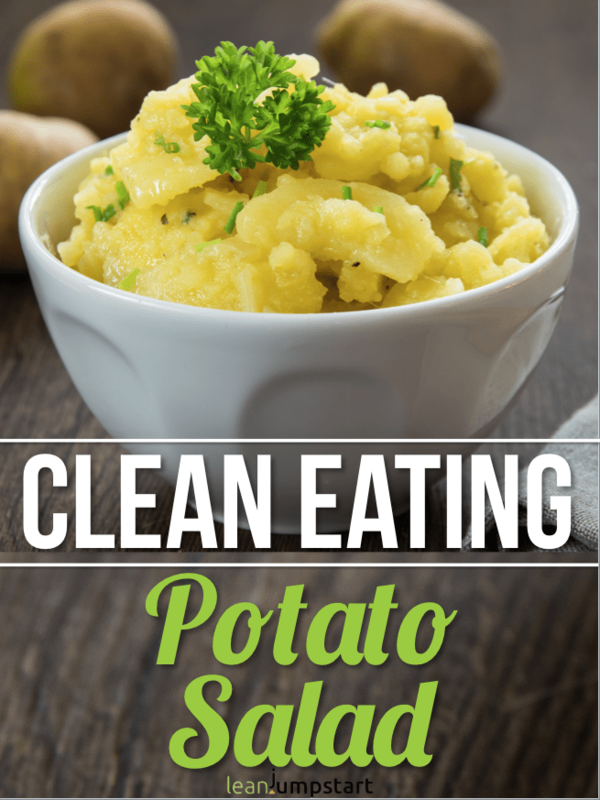 This is such a perfect side dish when you want something a little healthier than traditional potato salad! Thank you!! Thank you Liz, you are very welcome. I’m glad that my German salad recipe could inspire you.